The cheapest way to travel from Madrid to Cordoba is by bus. Most buses leave from Madrid Estacion Sur bus station in the southeastern section of the city. Buses run about nine times throughout the day; however, times may vary on weekends, Sundays and holidays. Buses are operated by Socibus. The coaches are clean, comfortable and air-conditioned. Service is generally reliable and on time. 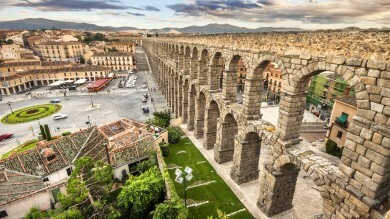 There is no direct bus service to Cordoba from Madrid airport. To reach the bus station, you must first take the metro from the airport and transfer to the commuter train line. Tickets can be bought for the Madrid to Cordoba bus in advance online via the Socibus website. Prices for a one-way ticket currently start at USD 20.29*, with return tickets start as low as USD 35.69. The fastest way to get from the Madrid airport to the bus station is via metro and commuter train. Take the pink line to Nuevos Ministeros. Transfer to the C10 Cercanías commuter train line, direction Fuente de la Mora-Chamartín-Atocha-P.Pío-VillalbaPrincipe Pio. Exit at Méndez Álvaro Estación Sur and walk approximately 40 meters to get to the bus station. The journey between Madrid and Cordoba takes nearly five hours. The fastest way to travel from Madrid to Cordoba is by train. AVE high-speed trains depart from Atocha Station in the southern part of the city center. AVE high-speed trains are operated by RENFE, Spain’s national rail service. Cars are comfortable and luxurious, and feature a number of high-quality amenities. From the airport, the fastest way to reach Atocha station is via the metro (pink line) and the C1 Cercanías commuter train line. This journey will take approximately 40 minutes. Tickets can be purchased for the Madrid to Cordoba train online in advance, or at the station from an agent or at the purple automated machines. Tickets currently start at USD 57.61* each way. Ticket prices vary depending on the time of day you travel. Trains run frequently throughout the day departing from Madrid between 06:20 and 21:25. Return trips run between 06:53 and 21:48. The journey on the high-speed AVE trains takes approximately 1 hour and 45 minutes. Hire a car and enjoy the freedom to explore this stunning drive at your own pace. Many established international and local companies provide rentals at the airport as well as within the city. The drive to Cordoba is simple and straightforward. Simply take the A4 freeway south and following the signs for Cordoba. In good conditions, the drive will take at least 3 hours and 30 minutes, depending on traffic and the number of stops you make along the way. The minimum age to rent a car in Spain is 21 and you must be in possession of a valid driver’s license. Cordoba is a city designed to be explore on foot. Save yourself the hassle of finding parking by securing a spot in one of the lots outside the city centre. Rental and fuel rates depending on the company you choose. To get the best deal, make sure you are clear on the conditions of the insurance policy and fuel rates before you agree to the rental price. Cars can be hired at the airport or in Madrid city centre. Reputable companies include Sixt.com, Economy Car Hire and Auto Europe. The most relaxing way to travel from Madrid to Cordoba is by joining an organized tour. Enjoy comfort and convenience as you journey between these two Spanish cities on an air-conditioned coach. 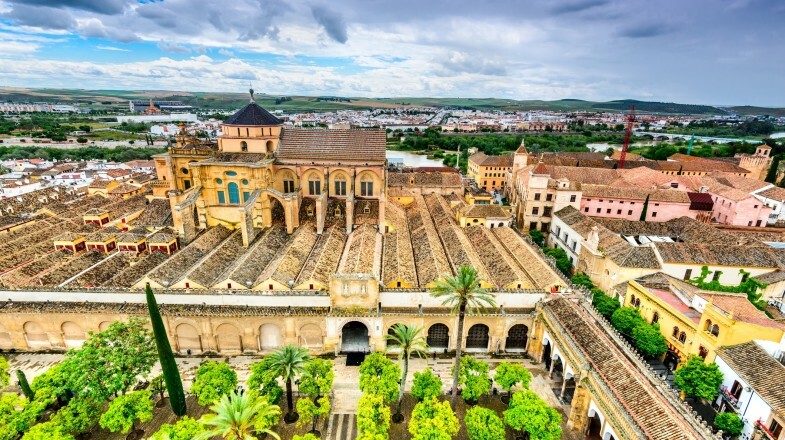 Most tours will include stops at the city’s most famous and recognizable sites, including the Mezquita, the Old City, Patios de los Naranjos and more. 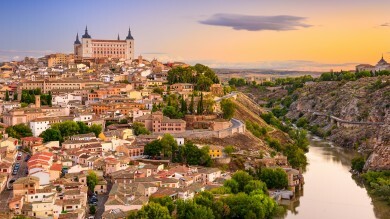 Enjoy a hassle free journey from Madrid to Cordoba by joining an organized tour. Cordoba is a beautiful town full of charm and character. There are many ways to travel between Madrid and Cordoba with options to fit every style and budget. Located almost 400 kilometers south of Madrid, this wonderful Spanish town is the perfect city break destination. *Note: Prices are as of June 2018.